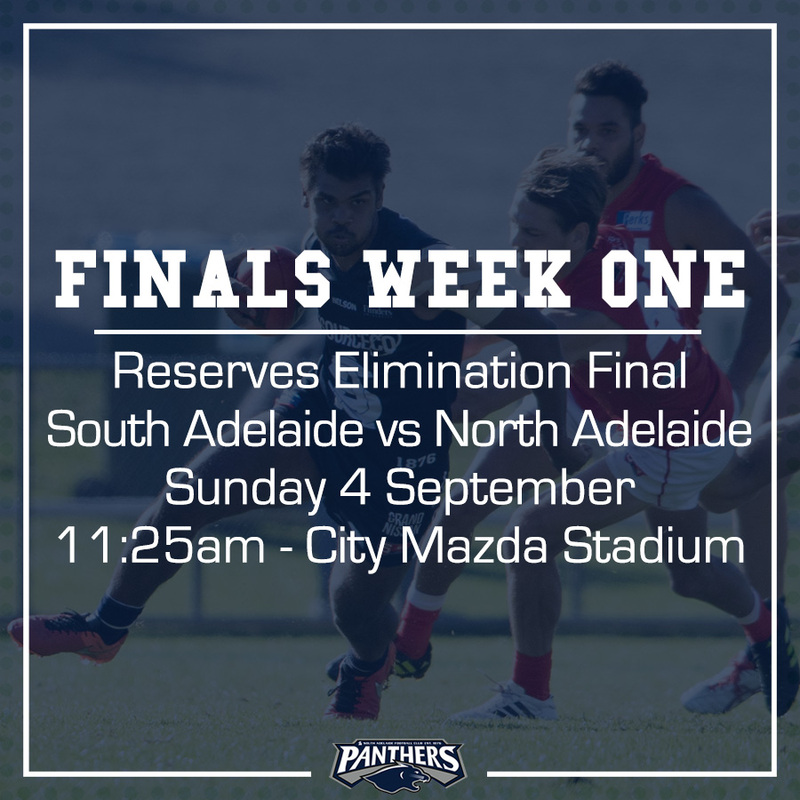 This Saturday South Adelaide get their 2016 Finals campaign underway with a Qualifying Final against Sturt at Adelaide Oval, while the Reserves will be playing an Elimination Final against North Adelaide at City Mazda Stadium on Sunday. The Panthers enter September with some confidence and form, having won their last five games, including victories against fellow finalists Central District, Adelaide and their Qualifying Final opponents Sturt. South Adelaide made history when they defeated Adelaide at Hickinbotham Oval in Round 22, sweeping their home games 10-0 for the first time since the club moved to Noarlunga. However, the historic victory came at a price, with Ben Haren (shoulder) and Adam Gulden (ankle) leaving the field early in the picture due to injury. The results were mixed for the versatile pair, with Haren ruled out for the rest of the season, while Gulden has retained his spot in Brad Gotch's 21 for this week's clash with Sturt, named on a halfback flank. Coming into the side this week is Sam Overall, Emmanuel Irra and Joseph Haines. Overall could be a potential like-for-like replacement for Haren, while Irra and Haines would add valuable leg speed on the quick Adelaide Oval surface. In the Reserves, Adam Blakely has recalled big-bodied forward Fraser Hawkins to offset the potential loss of Overall to the league team, while hard-working backman Rhys Bartram also returns from injury.